One of my pet hates is knitting or crocheting with a yarn that keeps splitting. Sometimes one small change to my technique can make a big difference. 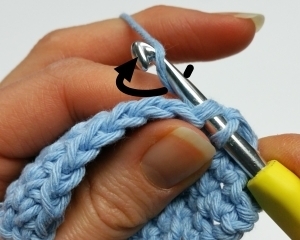 Any time that you knit or crochet, you either add or remove twist to your yarn as you work. 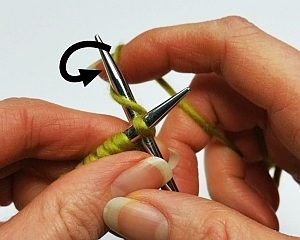 If you're adding twist, your stitches are firm and more likely to deflect your needle correctly through the stitch. If you're removing twist, especially from a yarn that was loosely twisted in the first place, the fibers of those stitches will separate and split easily as you work them. I wrote previously about how a combination of the direction of a yarn's twist and your style of knitting or crochet affects whether you're adding or removing twist from your yarn as you work. The upshot of that article is that 'Western' style knitters (where the yarn is wrapped around the needle in a clockwise direction) add twist to most plied yarns, which usually have an S-twist. However, they remove twist from single ply yarns, which usually have a Z-twist. Crocheters, on the other hand, who wrap the yarn in the opposite direction, remove twist from the commonly available S-plied yarns. If you're finding it difficult to work without splitting stitches, it might be worth changing the direction that you wrap the yarn around the needle. It's not quite that straightforward: if you switch to wrapping the yarn anti-clockwise (as in the Eastern style) then you also have to knit into the back of those stitches when you come to work them to avoid making twisted stitches. I'm not suggesting that all Western style knitters switch to the Eastern style when using single ply yarns. I personally don't like working an Eastern style purl for a start. I find it awkward to work through the back of the stitch and take the yarn anti-clockwise around the needle. I'm also concerned that it might be possible to introduce too much twist into the yarn. Single ply yarns can make for a biased fabric if they're over-twisted; I don't know whether I could produce the same effect by constantly introducing twist as I work. An experiment for another time! The cable cast-on technique normally involves wrapping the yarn around the needle in a clockwise direction and then collecting the new stitch onto the left hand needle by moving it through the loop of the stitch from back to front. Both of these movements remove twist from a single-ply (Z-twist) yarn. 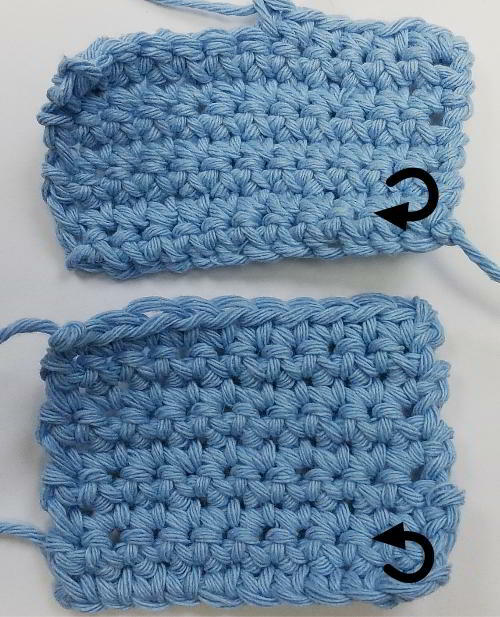 The resulting stitches can merge together to the point where they're difficult to count, let alone knit. To get distinct stitches that are much easier to work without splitting, I make the two movements in the opposite direction. It takes a bit more concentration at first, but I find it well worth it when it comes to counting and knitting the cast-on stitches. 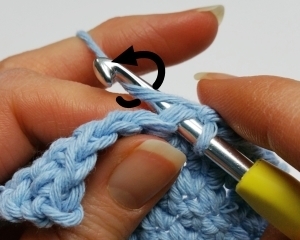 As well as making the first row of stitches easier to work, the added twist makes it more difficult for stray fibers to escape from their stitches. As single-ply yarns tend to pill easily and the edges of garments take a lot of abuse, this is an added bonus for the twisted cable cast-on. The other time I find it worthwhile to form my stitches in the opposite direction is when I'm crocheting with a loosely-plied yarn. Most plied yarns are S-plied, so they lose some of that twist as you crochet with them. Mostly there's enough twist in the yarn that it doesn't cause a problem. But I have recently been working with a plied yarn that was so loosely-twisted that I was regularly splitting stitches. I experimented with changing the direction that I wrapped the hook around the yarn and it worked a treat. Normally you take the crochet hook under then over the yarn. I'm far from an expert crocheter but, having checked online, this is apparently taking the hook in the 'wrong' direction and I'm not sure whether it would work all the time. But for the times I've used it, the fabric looks very similar to when I'm crocheting normally. My gauge is different for each method though, so I have to stick with one or the other for the entire project. The swatch at the top in the picture below was made by taking the yarn around the hook clockwise—the 'wrong' direction. The swatch beneath was made in the usual, anti-clockwise, direction. 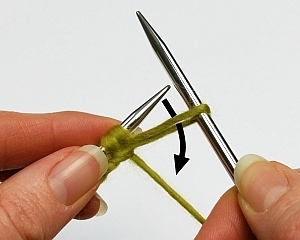 Wrapping the yarn around the needle in the opposite direction may not solve all your problems with untwisting. Sometimes it may cause over-twist or create a bias in the fabric. But I've found it a useful trick to have at my fingertips. A fellow knitter recently complained that her two-stranded composite yarn was untwisting so much that she was having a hard time working with it. The two strands were loosely Z-plied together, so every stitch was separating them a little further. Switching to wrapping the yarn the opposite way round the needle fixed her problem after just a few stitches. It was such a small change, with such a pleasing result.